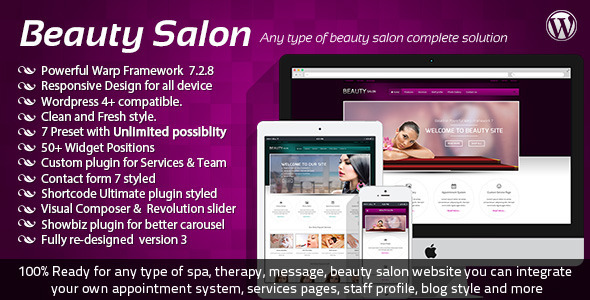 If you want to create your own beauty salon, it is necessary to have your own website, so here are the best beauty salon website templates to help you to get up and running quickly. You can easily use these templates and edit very easily. Designed by welearn2fly �(http://themeforest.net/user/welearn2fly).�It is fully responsive with Desktop, Tablet, and Mobile and Easy to Customize and it is Fully Layered with Parallax Scrolling. 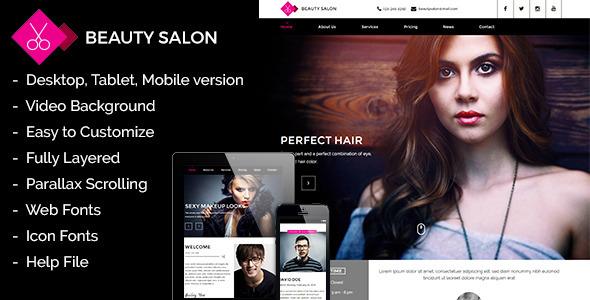 Beauty Salon Muse Template is a muse template for anyone who wants beauty and salon website and it is easy to customize without writing any code. 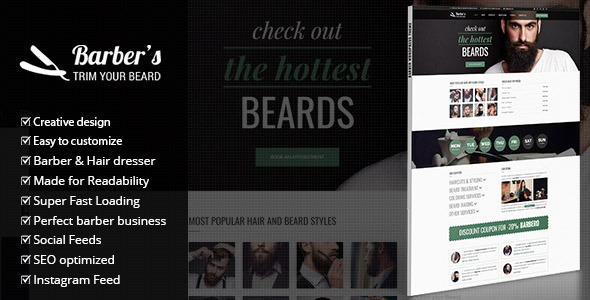 Designed by ProteusThemes (http://themeforest.net/user/ProteusThemes).�It is Responsive & Retina-Ready with Premium Slider Revolution and Real time WP customizer and WooCommerce Supported, FontAwesome Integration applied with MailChimp Integration and Social Integration and fully editable PSD files. 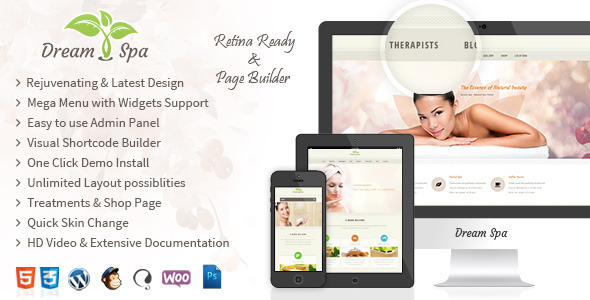 Designed by bdthemes (http://themeforest.net/user/bdthemes).�It has Warp Framework with Responsive Layout and Joomla!�2.5.x and 3.1.x�compatible and also Joomla!�2.5.x and 3.1.x both quick start package�included with Revolution Slider. Designed by FamousThemes �(http://themeforest.net/user/FamousThemes).�It is a SEO-friendly HTML template with Featured slider on home page. 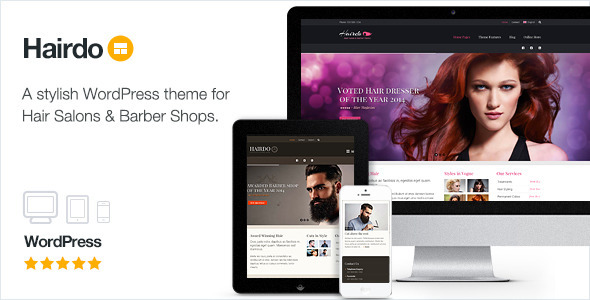 It has jQuery drop down menu and Prettyphoto for portfolio images with Layered�PSD File�for easy customization. Designed by gljivec (http://themeforest.net/user/gljivec).�It has Revolution Slider included Clean and Crisp Design and CSS3 Features�and Animations and has Parallax Backgrounds with 100+ Shortcodes. 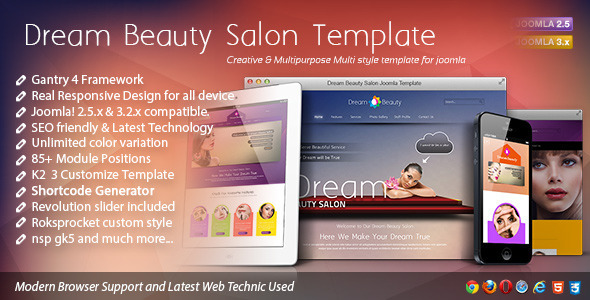 Designed by html5css3templates �(http://themeforest.net/user/html5css3templates).�It is Fully responsive web design for all devices with Parallax scrolling, Full screen slideshow�Directional Hover Gallery with pretty photo light box, and Advanced CSS3 animations. Designed by webunderdog �(http://themeforest.net/user/webunderdog).�It is a Responsive layout built with Bootstrap and Standard quickstart installation Akeeba Backup quickstart installation with 62 module positions and 17 extensions installed.